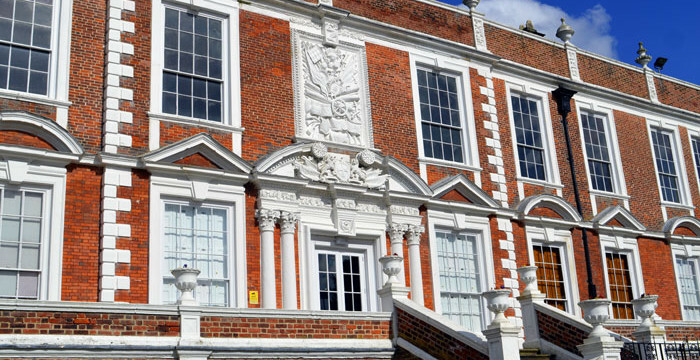 Croxteth Hall is one of Liverpool’s finest heritage buildings, dating back to 1575. This beautiful property has survived two world wars, and has remained unchanged in a city that has transformed dramatically since the first bricks were laid on the land. Anyone aware of my past projects will know I am passionate about preserving our historic buildings, with the aim to ensure the architecture, history and stories can be shared with the public for many years to come. Just like 30 James Street, I never view myself as the owner of the building, merely the custodian of our heritage, lovingly caring for a property until it is time to pass the baton to someone else. It is for this reason that Croxteth Hall captured my attention and interest. As we all know, councils are here to run our cities; they do not have, nor do they state, they have the skillset or desire to run such projects. Before all the residential areas, shops and churches, there was Croxteth Hall, standing in the heart of 500 acres of farmland, serving as the home to the Earls of Sefton until 1972. As well as serving as the home to notability, it has also welcomed Queen Victoria, Prince Albert and their children in 1851. This is just one of the many stories I would intend to share with our guests, celebrating the remarkable past of this exquisite building and grounds. It is well known there are two main ingredients that have helped Liverpool flourish over the last several years: our people and their never-say-die attitude. Our locals’ wit and warmth is also complemented by our remarkable heritage buildings, second to London only, with over 2,500 listed buildings. The English Heritage has also described Liverpool as England’s finest Victorian city. With this in mind, we need to re-engage our finest qualities with the world, promoting our key assets, which will only help in our city’s rise, and our proposed project could, without any doubt, bring prosperity not just to Croxteth, but the wider area. Also, I thorought believe we need to provide our historic buildings with a reason to survive, giving this old boy a new set of clothes by creating a stunning hotel, whilst not changing any of this building’s DNA and, most importantly, opening it up on a 24/7 basis to all. Croxteth Hall and Country Park has belonged to Liverpool City Council since the last Earl of Sefton passed away in 1972, which is why I have made no effort to purchase the property. We simply would hope to gain a long leasehold interest in the building, ensuring Croxteth Hall was always owned by Liverpool City Council and the people of Liverpool. I am very much aware that Croxteth Hall is a landmark to the people of Liverpool – which is why I released one of many blueprint designs for Croxteth Hall and Country Park to the Liverpool Echo, as part of a public consultation, before I approached Liverpool City Council for consideration. We encouraged the public to provide us with feedback, both on the Liverpool Echo and through our Facebook pages, so we could identify a general consensus. It is my vision to breathe new life into this magnificent building, ensuring the property survives another 500 years. 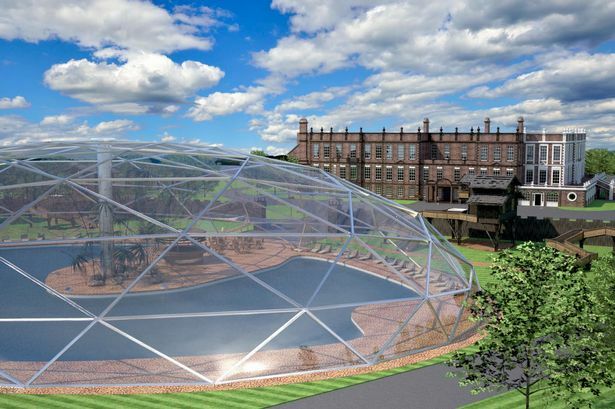 My initial idea was not only to transform Croxteth Hall into a luxury hotel, wedding venue and community events space, but to feature a glass eco-domed swimming pool, wooden log cabins and an educational nature trail. Due to the public’s thoughts, we found that there was 20% of the public, that were not happy with the eco park, with around 80% supporting the idea. As I have stated earlier. this is your Park and you decide what happens here and, due to this, we have decided to drop the pool and the log cabins. Signature Living currently work with a number of Merseyside colleges – taking on three apprentices from the Croxteth area just last week. Well, as an extension to this, our initial proposal featured a training college within the grounds of Croxteth Park. Not only would we provide the local area with fantastic apprenticeships, but with a genuine path to long-term employment. Our proposed plans were welcomed by the local community, and we were delighted with many of the comments received, both on Facebook and the Liverpool Echo. However, we did face opposition from Councillor Steve Munby, who stated our design for Croxteth Hall and Country Park as “difficult to reconcile”. I don’t see how a yearly investment into a site, which is costing Liverpool City Council £3 million per annum to preserve, is “difficult to reconcile”. Not only do we want to take over a long-term leasehold of the property, but we actually want to create local jobs, boost tourism and provide regeneration to the area. I am shocked Councillor Munby chose to publicly air his views before we had the chance to receive public feedback; before we potentially put forward the proposed plans to Liverpool City Council. I am a local businessman with a local interest. The restoration of our historic properties is at the heart of most of my projects, because I wholeheartedly believe Liverpool is a city that must be explored by people from across the world. Croxteth Hall is a popular local attraction – but it is my intention to make it a national or even international attraction, because it has the history and beauty to become just that. Without any disrespect, Councillor Munby is not a Liverpudlian. He was not raised in this city, as I was being raised in Walton. Maybe he does not realise the importance of a genuine investment, in cash terms and genuine employment, you certainly would not disregard any proposal without gaining public consultation. I do believe the people of this city should understand exactly what is happening with our city’s assets and, by publishing our thoughts, it will only create debate before a decision can be made. As a business, Signature Living now bring in excess of £30 million pounds of ancillary spend to our bars, restaurants and stores. I was born here, I have one home and that is in the centre of our city. I am so passionate about creating a brighter, better Liverpool, which goes beyond the city centre. Most local politicians would welcome investment and ideas from local businessmen, who have a vested interest in this city. I do not doubt that Mayor Joe Anderson is open to all projects that could benefit Liverpool and its residents. My proposed plans are a perfect example of how we can be entrepreneurial when reaching out to cash-starved suburbs. It is my vision to revive an area that could actually flourish – it just needs the right investment. We will continue to plan for a luxurious hotel, wedding venue and community events space within Croxteth Hall and Country Park. However, we have chosen to remove the glass eco-domed swimming pool and log cabins from our original design. Our hotel will complement the picturesque scenery of Croxteth Park, bringing people together through spacious, stylish and comfortable accommodation. We believe Croxteth Hall and Country Park would provide a romantic backdrop for a happy couple’s wedding day, which is why they can create history in a hotel that has been defined by it. Our talented marketing team will also endeavour to showcase the building’s stories, allowing everyone to learn more about this magnificent property. During my last visit to Croxteth Park, I found myself enthused by this amazing structure and went off to search for a book or leaflet, to give some foundation to my scant knowledge, only to find the little store within the grounds had nothing at all that related to this building. I would certainly ensure this building’s entire history would be chronicled in a new book. Croxteth Hall would also feature a relaxing spa, welcoming people from across the city to indulge in a spot of pampering. Guests can pick from a variety of superb spa treatments, offering a brand new service to the area. It is also the perfect place for afternoon tea. The hotel has left our children behind for many years, opting to provide many opportunities to Liverpool University students, who have no intent to stay within our city or within our industry. By the time our city’s youths have the option to work, many of them may have missed what should be their opportunities. Waking at 7am for work is an ethic that is instilled from an early age. If you don’t have the need to go to work, you could very easily find it too difficult to step back into that area. I aim to change this practice set by my predecessors. Our apprenticeship college will be a dominant part of our plans, as we will strive to provide the local community with a viable route to employment. Our goal is to educate young people with maths, English and presentations skills, which will allow them to embark firstly upon an apprenticeship, before moving onto a professional career at Signature Living and beyond. Signature Living is growing each and every year, offering young people with a variety of local, national and international employment opportunities. With numerous hotels located across Liverpool, The Coal Exchange opening its doors in Cardiff soon, and future opportunities in Marbella, Belfast and Manchester, our goal is to have a Signature Living in every major city in Europe. One day we will provide young people with fantastic career prospects that have the potential to take them across the world. We believe any child, from any background, has the potential to go onto great things. I was one of those children, having left school at the first possible opportunity one Easter, before I even took any exams, opting to gain employment. Before long, I was unemployed with no qualifications and no options – which is why we want to bring this facility to Croxteth, so an area from outside the city centre can benefit from personal development and regeneration, providing our children with much-needed aspirations. 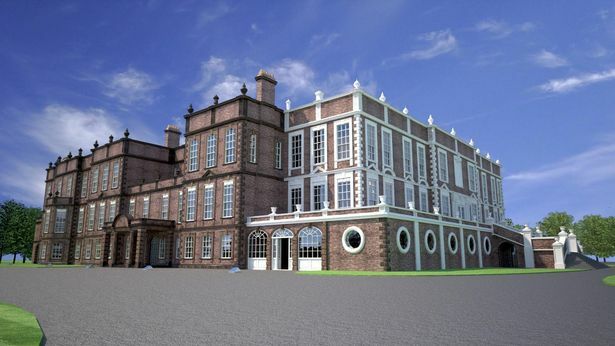 Croxteth Hall will become Signature Living’s centre of excellence – a high end hotel served by its local community. 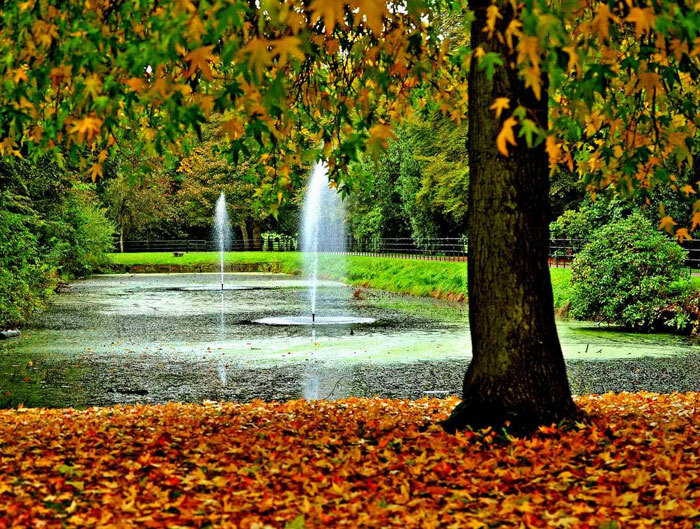 Few places across the city provide children with free horse riding – but we plan to do just that, should we be lucky enough to gain a leasehold for Croxteth Hall and Country Park. Young people can enjoy a fun new activity that will encourage them to enjoy the great outdoors, which has the potential to lead to a passion or career. We also plan to reach out to bird watching communities, as well as the RSPCB and clubs and scouts, to provide other activities for visitors to enjoy at their leisure. It’s hard not to be interested in a building that dates back to 1575. As mentioned earlier, one of the most interesting eras of the building was the visit from Queen Victoria in 1851, which is why we plan to offer an onsite museum that celebrates the Victorian way of life. Guests can learn more about the hall, royal visit and Victorian era through various items and exhibitions, which will be on display for the public to enjoy. I am a very proud father to five wonderful children. It has always been my goal to provide each of them with the best in life, like every parent. That’s why I will incorporate a play area for children with disabilities, providing them with a fun, educational and comfortable space for little ones to play and learn. Our plans for Croxteth Hall and Country Park have the potential to transform the area, which will lead to further investment, multiple job opportunities, an increase in tourism and regeneration. To ensure the development of the area, Signature Living pledge to donate 30% of the Croxteth Hall and Country Park profits to the local community. We will also ask local councillors and community leaders to sit on the board to select the worthy causes across the area. 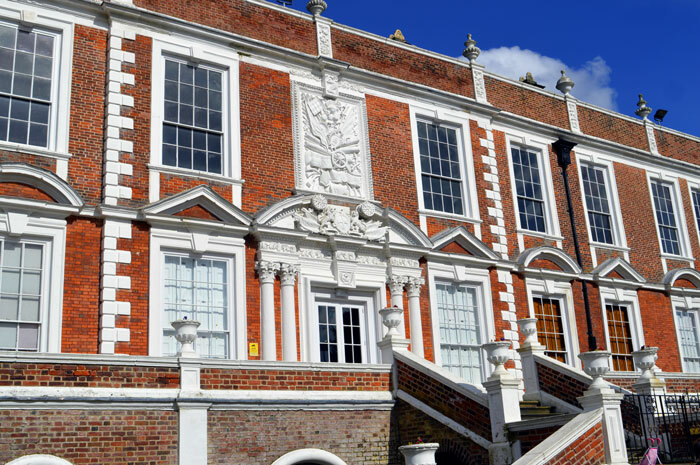 Croxteth Hall is currently costing Liverpool City Council millions of pounds in upkeep each year; we can take away the financial drain, whilst creating a tourist attraction that celebrates the building – with the profits invested back into the community. Liverpool is currently the 6th most visited city in the UK, and the third most visited city by foreign visitors – but I do believe we can push past each city to be no.2 to London. If you’d have said 20 years ago that our city would one day become a popular tourist destination, I don’t think anyone would have believed you – but we are now and, in the same vein, I do believe that Croxteth Hall, will also be a huge part of Liverpool’s resurgence as an amazing tourist destination. We will ensure that our online team will create a huge social beacon that will circulate many of this building’s colossal historical past. Please let me know your thoughts on our new proposed plan. I’d love to hear everyone’s ideas on how we can create a luxurious venue that helps celebrates the past, whilst providing the Croxteth community with a fantastic future. I think anything that can be done to prosper croxteth park would be worthwhile. Like the idea of a spa centre (similar to that of Ribby Hall spa) and hotel. I live in the area, roads are already busy and with limited ways into the park this can only add to the problem. What will you do to ensure the commute for locals to and from work/schools will not be affected? This is a place that I visited with my parents and now visit with my children. It’s a meeting point for locals and what you propose will not benefit them. At the moment I can take my children round the hall and tell them about the history of the building. I won’t be able to do that if it’s a spa or hotel. This building and it’s land were left to the people of Liverpool and that’s the way it schools stay. My local park and I think it is a great idea. It’s a beautiful building that could definitely do with a new lease of life. These are all great ideas but what worries me is will there still be totally free public access to the park like there is now without any exclusion zones around the hotel, will myerscough college remain on site as this provides school leavers with a valuable horticultural education, also will there still be events held within the park like the fair rides, fun runs etc will we still be able to walk our dogs, will there still be a children’s play park?. A swimming pool would have been nice but only if it had been open to the local residents or visitors to the park. As a local resident I have my concerns and use the park myself . I would not like to loose this park . This all sounds brilliant for a building that has looked tired and badly in need of some investment for a long time. Good to hear news of potential new jobs for youth too. I have to say Im of the opinion that this this is a truly preposterous idea, turning a historically preserved mansion into a spa hotel,based around nothing more than capitalist greed and lining your already deep pockets. I cant actually believe what I’ve just read! Croxteth Hall and Country Park has been a part of Liverpool, and more closely, the people and children of Croxteth/Norris Green’s heritage for as long as I can remember. Im 37. Every Christmas, class loads of children are taken to the hall to recreate the ‘Victorian Christmas’ Its fabulous and one of my dearest childhood memories. As I’m sure it is for many other children. I did it back in 1987, my own nieces and nephews did it through the 90’s and 2000s and its a firm tradition, something both kids and teachers alike look forward to, and a fantastic role play learning opportunity which still takes place every year. My own 7 year old niece did it last December. She loved it. The Hall is steeped in history, the rooms are preserved as they once were and hoards of tourists still take the tour around its great rooms, farm and majestic grounds every year. This place is our heritage. Its the people of Liverpool’s but more the children of Croxteth. Every single day during the six weeks summer holidays as kids, we would go off to the park with a bag of butties and a bottle of orange juice. If you were lucky you have enough for a lolly ice or a pencil or a rubber from the shop. You’d spend the whole day just exploring running round and the Hall is right at the heart of that. Running up and down those steps was always a favourite game. The children of Croxteth don’t have much in the way if entertainment facilities. A sports Centre, the fabulous Communiversity, and the Park. Croxteth Park belongs to them. As does the Hall. Don’t be greedy. We don’t need another Spa hotel. They are popping up all over the place. Ive been to a few myself so I’m not ‘anti spa’ or ‘Anti hotel’ I love hotels. But come on, this is just greed at its best. Think. We need our history and our childhood, and our children’s childhoods preserving. Im not stuck in a rut. Im all for change in the right places. This is the wrong place. This may create jobs. But there are plenty of places you can build a spa hotel that would do that without wiping out years and years of culture. And it’s likely these jobs would be filled by people out of the area as is often the case with these projects. Croxteth is one of the most economically and socially deprived area in Liverpool. 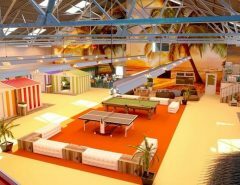 Do you really think many local people would be able to afford to attend your fancy “spa hotel vision” No. But what they can afford is to pay a couple of quid to take their kids on a tour of of a beautiful old house, getting some history and culture in, an ice cream, a little picnic on the lawn in front of said house taking in the gorgeous view and jobs a good un. But no, you want to take that away and all for pure unadulterated greed. Don’t get me wrong Signature living is fab, I have stayed there for a special occasion. Great idea, lovely building. You weren’t taking away a children’s attraction, a Christmas tradition to convert your hotel this time. Harmed no one, benefitted yourself and your customers. Excellent. So many schools have days out to Croxteth Hall. You talk about it as if it’s gone to rack and ruin which is absolutely NOT the case. Its very much still in business. Please leave it alone. I notice you are deleting any negative comments on this post already. Maybe that’s why you had such an “overwhelmingly positive response” to the last one? Lord Molyneux will be turning in his grave. What I would like to know is where is the money going that Croxteth Hall Park gets for the other areas which are leased out i.e The Stables, The cafe area, The Farm area and all the areas which Myerscough College have leased. Is it going back into the upkeep of Croxteth Hall and the walled garden and the immediate grounds or is it going straight back to Liverpool City Council? I believe the money is being utilised in other areas of Liverpool when it should be going straight back into the upkeep of the Hall, gardens and grounds. To be honest, I am sick of every green space in Croxteth being built on. The green space on the East Lancs next to the river….being built on…..the field next to De La Salle…..being built on…..the wasteland on the junction of Parkstile Lane and Stonebridge Lane….being built on. The field that is behind St. John Bosco has been built on. Give it a rest please! I reckon 8/10 people who are voting for this idea are either not from Croxteth or are new to the area. That proposed swimming bubble is an eyesaw. In no way does it fit in with the historic buildings and woodlands. People are moaning that children are always using computers. When they do eventually decide to play outside it will be too late. There will be no greenery for them! LEAVE CROXTETH PARK AS IS!!! I grew up down the road from Croxeth Park, (Norris Green) and I can remember going with my mum and dad for family days out, having a picnic on the grass and playing games with my sisters, which was great as we didn’t have the money to go to theme parks. Then as I got older, going there with my friends (going on the little train) and generally just having fun and making lots of great memories. I’m just curious to know if your proposal is excepted (which I do like the idea of) will families still be able to visit the grounds and just enjoy the simple things like a picnic without the pressure of having to spend money for horse riding or other activities which are appealing to children? And looked after for future generations to enjoy but not if it comes at a cost to loosing the freedom we have there now. Is there an part of our heritage you won’t exploit for your profit? We don’t want of green spaces owned by the Chinese.Hands off our park.